The default trace in SQL Server is something I have been experimenting with lately. It is a feature included in SQL Server 2005 and beyond and it is enabled by default when you install SQL Server. It has a number of uses from auditing to capacity planning and I will look at an example here. --Check to see that Trace is enabled. Notice the [Value] and [Value_in_use] columns set to 1 – this means the default trace is enabled. If the trace is disabled the following code will enable it...You need to be a member sysadmin or serveradmin fixed server roles to run reconfigure. **CAUTION I believe if you disable this trace then certain reports in Management Studio will no longer function correctly. This trace is stored in a file, and you have two TSQL options to get the path of the default trace file for your SQL Server instance. To quote from books online (BOL) "The sys.traces catalog view contains the current running traces on the system. This view is intended as a replacement for the fn_trace_getinfo function." 5 = Current trace status - 1 running 0 - Stopped. My model DB has the standard out of the box settings and is around 4MB in size, has auto growth turned. So the new database picks up these settings. The following screen shot shows a partial result set, we can one log growth, and one data file growth. In fact though the insert caused the log to auto grow one which represents a 10% increase on 1MB and the data file to grow three times, each time adding 1mb to the data file. I’m sure there is another post in this on the potential issues of auto-grow and why you should size you databases accordingly. One correction though. Passing 0 (or null or default for that matter) to fn_trace_getinfo() will return information on all running traces, not just the default trace. To get the info for a single trace, you have to specify the trace ID. The default trace is always trace ID of 1. However, if the default trace is not running, a custom trace can be trace ID of 1. Hi Robert, Thanks very much for the comment. I made a small change to my post based on your comments. 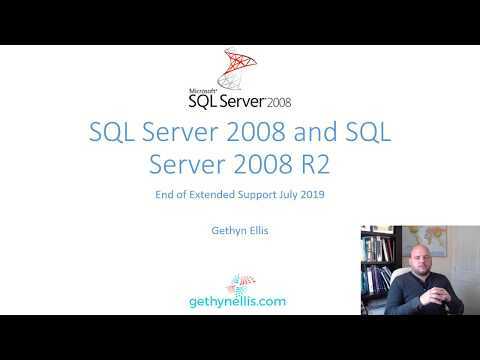 Thanks a lot Gethyn Ellis, I have never used SQL profiler, your post made me get introduced to it. It's crystal clear. Thanks again.